Pure Nickel Coil Ni200 Wire 10 meters long - 0.2mm. ( Gauge 32 ) Build your coil with the one of the best Pure Nickel Coils in the market, choose your gauge and make your own Build. The kit contains 10 meters of pure Nickel Ni200 Wire 32 Gauge rolled on a plastic holder. Over 99% pure nickel. Pure Nickel Coil Ni200 Wire 10 meters long - 0.25mm. ( Gauge 30 ) Build your coil with the one of the best Pure Nickel Coils in the market, choose your gauge and make your own Build. 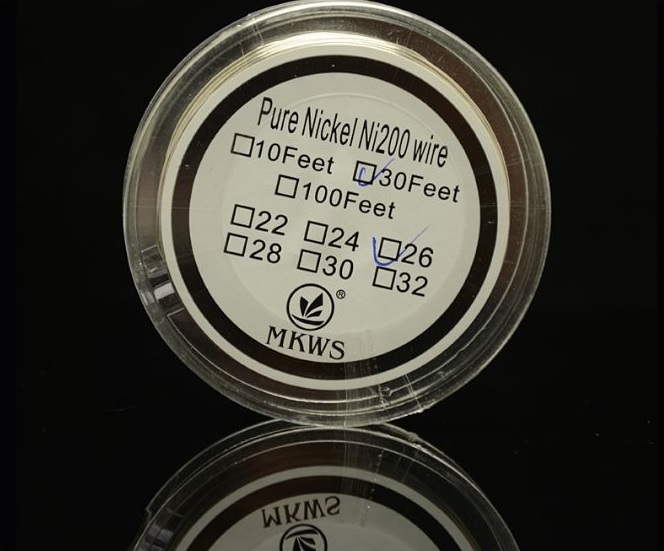 The kit contains 10 meters of pure Nickel Ni200 Wire 30 Gauge rolled on a plastic holder. Over 99% pure nickel. Pure Nickel Coil Ni200 Wire 10 meters long - 0.32mm. ( Gauge 28) Build your coil with the one of the best Pure Nickel Coils in the market, choose your gauge and make your own Build. 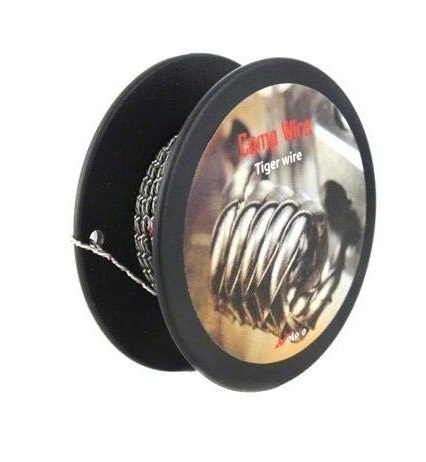 The kit contains 10 meters of pure Nickel Ni200 Wire 28 Gauge rolled on a plastic holder. Over 99% pure nickel. 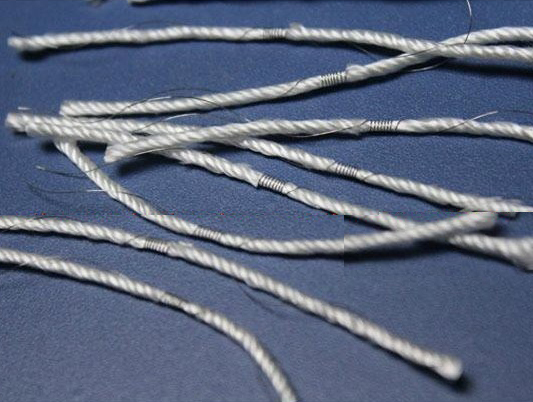 Pure Nickel Coil Ni200 Wire 10 meters long - 0.4mm. ( Gauge 26) Build your coil with the one of the best Pure Nickel Coils in the market, choose your gauge and make your own Build. 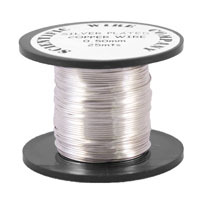 The kit contains 10 meters of pure Nickel Ni200 Wire 26 Gauge rolled on a plastic holder. Over 99% pure nickel. 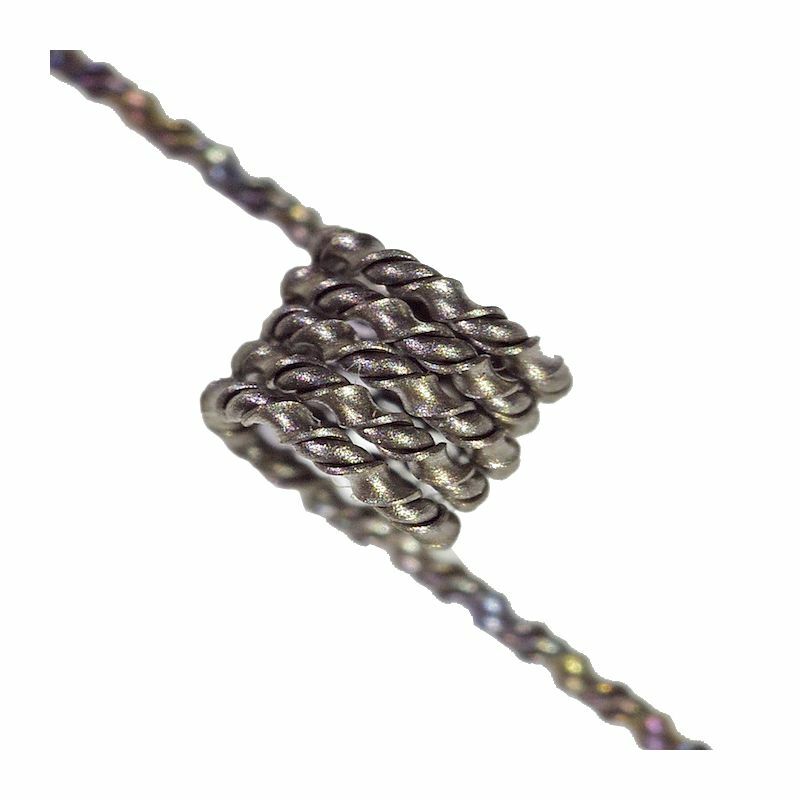 Titanium Wire 10 meters - 0.2mm Build your coil with the one of the best Titanium Wire in the market, choose your gauge and make your own Build. The kit contains 10 meters Titanium Wire, rolled on a plastic holder. Over 99% pure Titanium. Pure Nickel Coil Ni200 Wire 10 meters long - 0.51mm. ( Gauge 24) Build your coil with the one of the best Pure Nickel Coils in the market, choose your gauge and make your own Build. 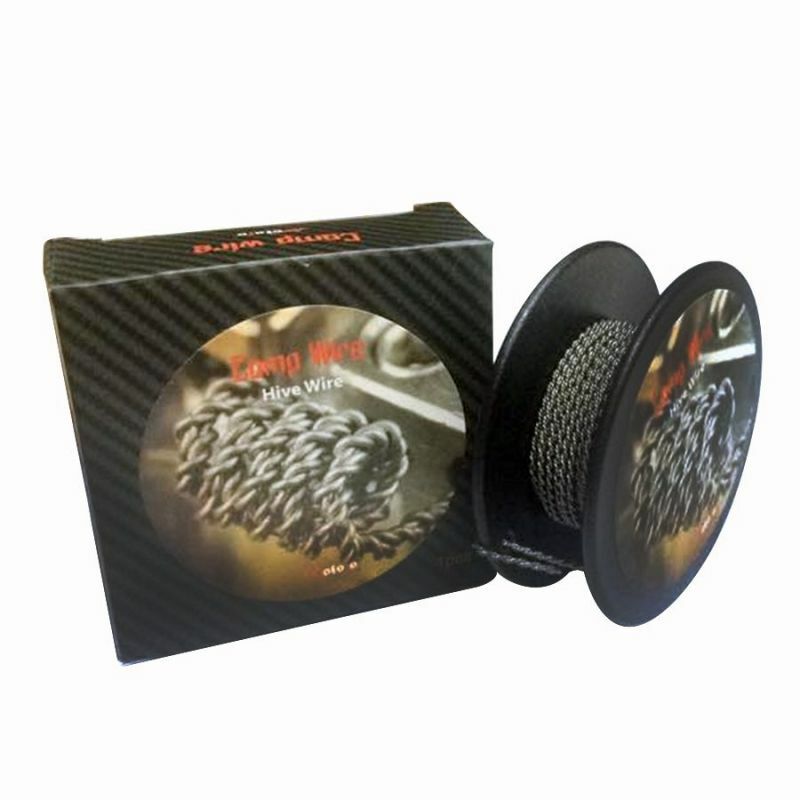 The kit contains 10 meters of pure Nickel Ni200 Wire 24 Gauge rolled on a plastic holder. Over 99% pure nickel. Titanium Wire 10 meters - 0.25mm Build your coil with the one of the best Titanium Wire in the market, choose your gauge and make your own Build. The kit contains 10 meters Titanium Wire, rolled on a plastic holder. Over 99% pure Titanium. 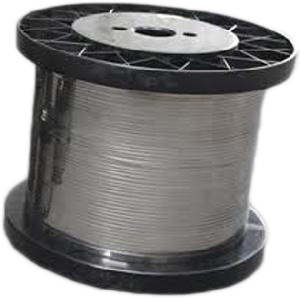 Pure Nickel Coil Ni200 Wire 10 meters long - 0.64mm. ( Gauge 22) Build your coil with the one of the best Pure Nickel Coils in the market, choose your gauge and make your own Build. The kit contains 10 meters of pure Nickel Ni200 Wire 22 Gauge rolled on a plastic holder. Over 99% pure nickel. Titanium Wire 10 meters - 0.32mm Build your coil with the one of the best Titanium Wire in the market, choose your gauge and make your own Build. The kit contains 10 meters Titanium Wire, rolled on a plastic holder. Over 99% pure Titanium. 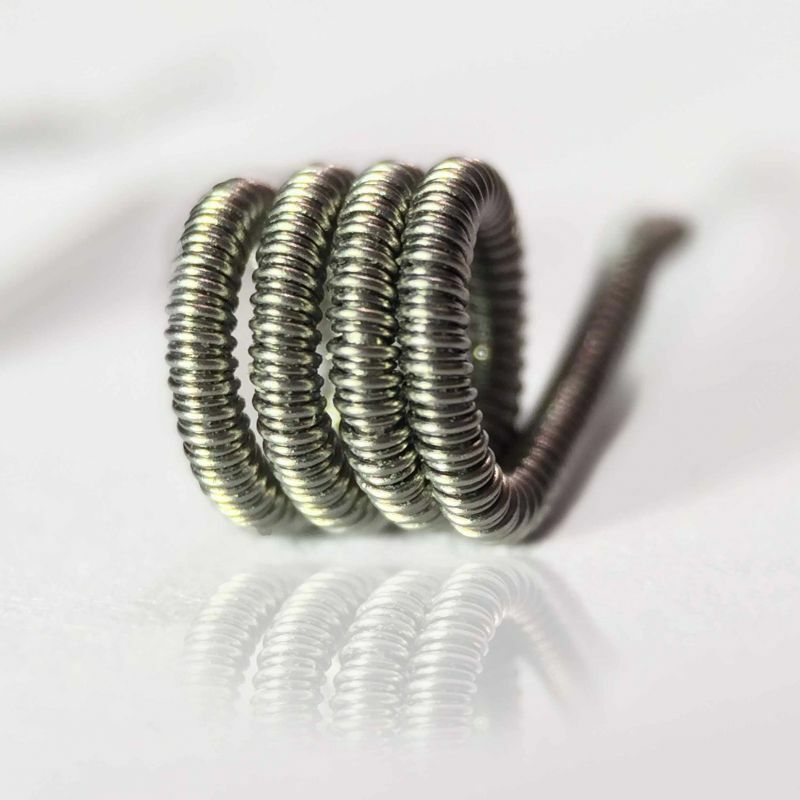 Clapton Wire 0.4mm + 0.2mm 15 feet You can make atomizer resistance for RDA / RBA. 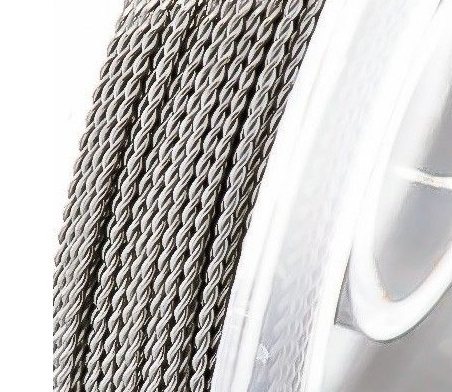 Length: 15 ft. Price refers to 15 feet roll Kanthal Wire Clapton. 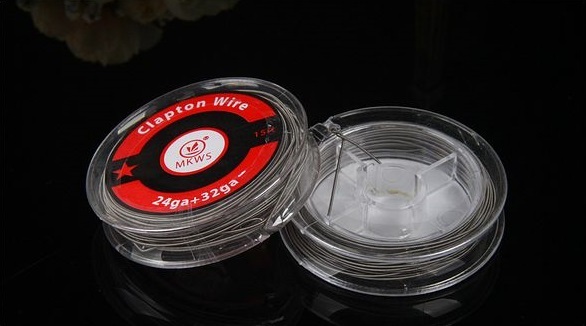 Clapton Wire 0.5mm + 0.2mm 15 feet You can make atomizer resistance for RDA / RBA. 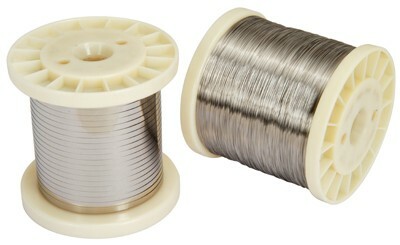 Length: 15 ft. Price refers to 15 feet roll Kanthal Wire Clapton. Clapton Wire 0.64mm + 0.2mm 15 feet You can make atomizer resistance for RDA / RBA. Length: 15 ft. Price refers to 15 feet roll Kanthal Wire Clapton. 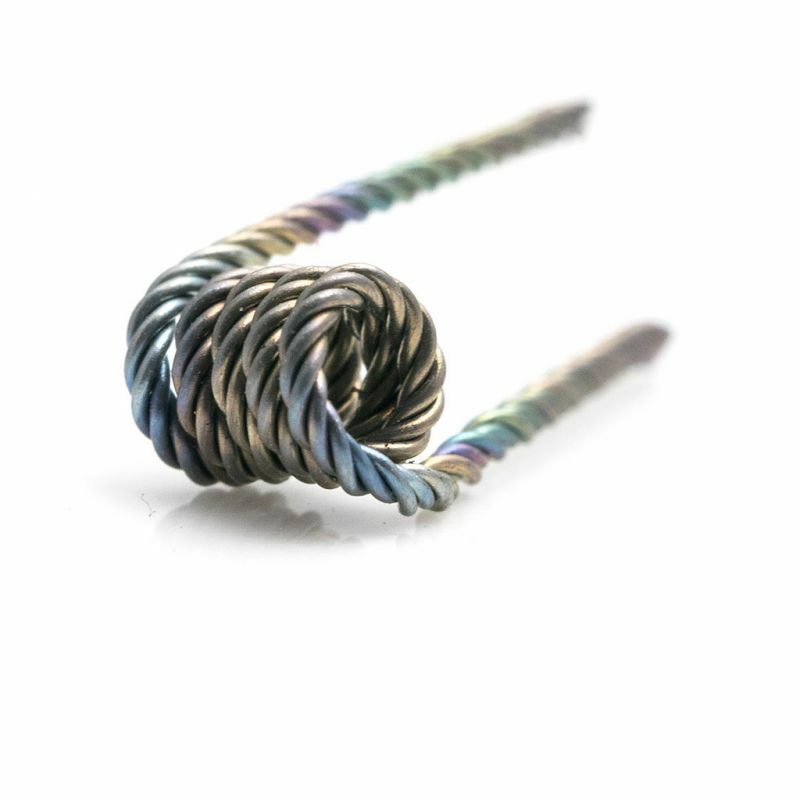 Titanium Wire 10 meters - 0.4mm Build your coil with the one of the best Titanium Wire in the market, choose your gauge and make your own Build. 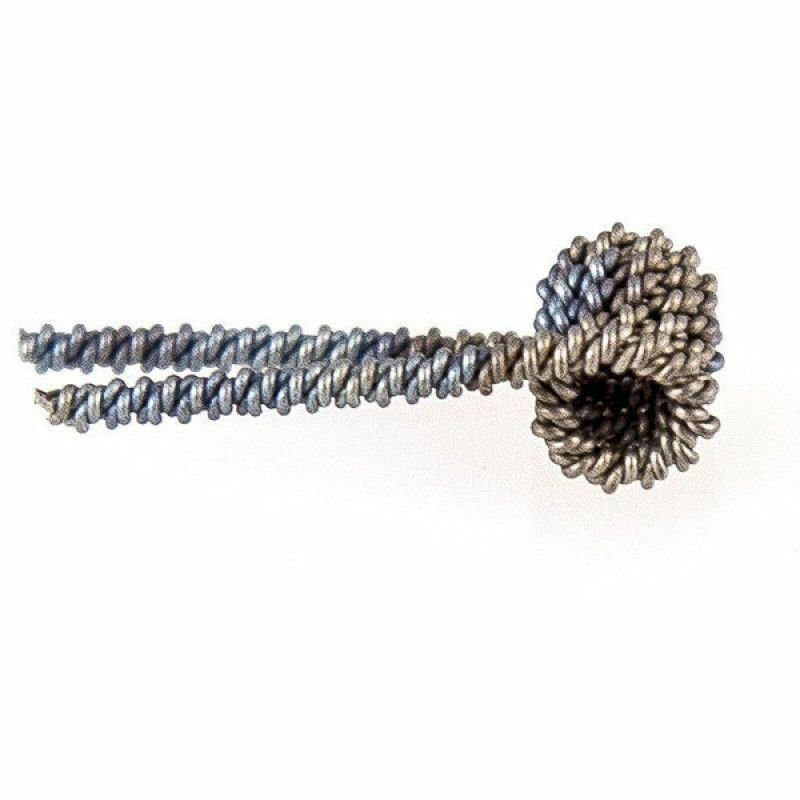 The kit contains 10 meters Titanium Wire, rolled on a plastic holder. Over 99% pure Titanium. Product description: Kanthal A1 Resistance Wire 26 Gauge typically used for Rebuildable Atomizers (RBA/RDA), electronic cigarettes and building your own coils. 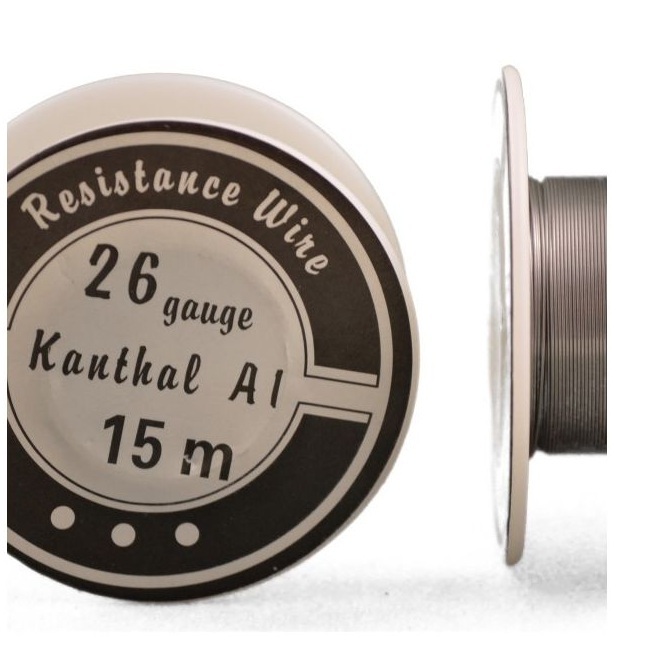 This Premium Kanthal A1 Resistance wire is 26 Gauge and comes in 15 Meter Rolls. 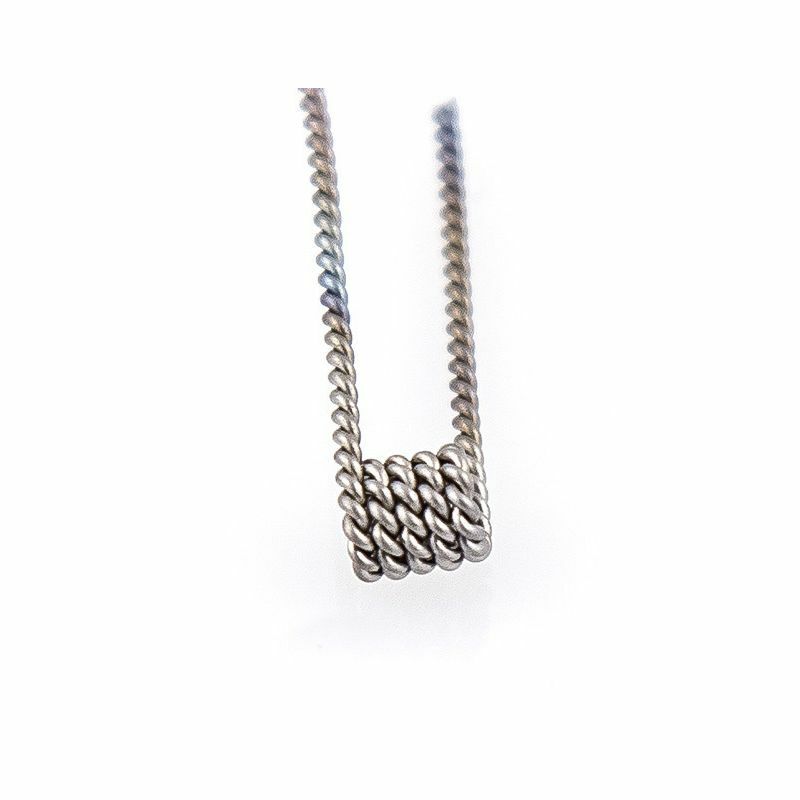 Product description: Kanthal A1 Resistance Wire 24 Gauge typically used for Rebuildable Atomizers (RBA/RDA), electronic cigarettes and building your own coils. 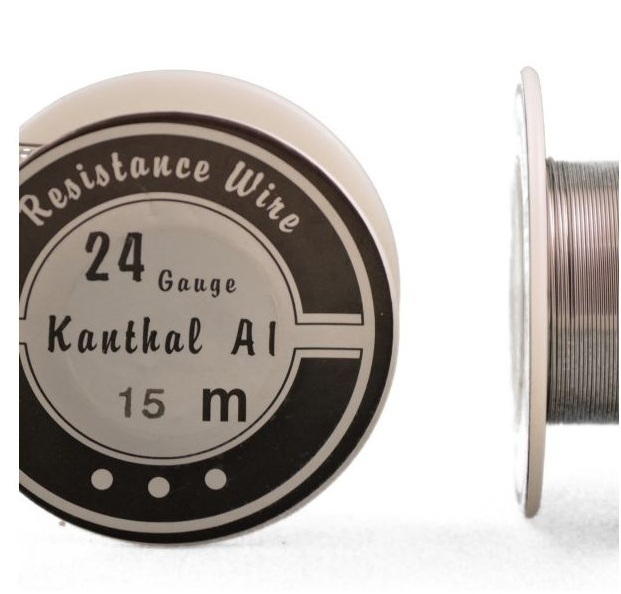 This Premium Kanthal A1 Resistance wire is 24 Gauge and comes in 15 Meter Rolls. 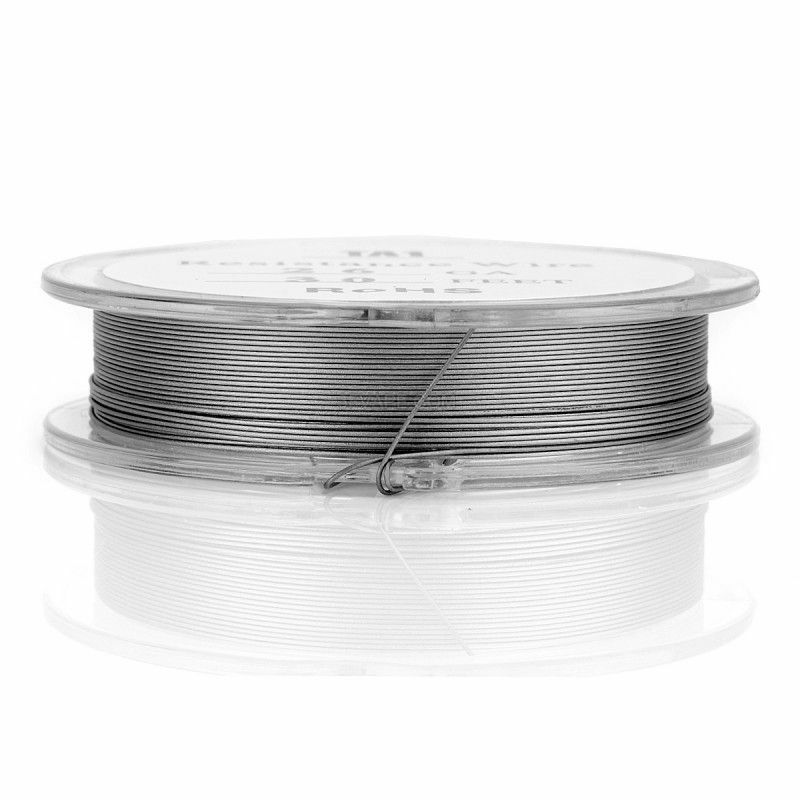 Titanium Wire 10 meters - 0.51mm Build your coil with the one of the best Titanium Wire in the market, choose your gauge and make your own Build. The kit contains 10 meters Titanium Wire, rolled on a plastic holder. Over 99% pure Titanium. 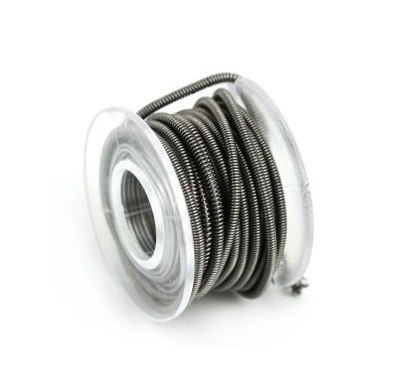 Titanium Wire 10 meters - 0.64mm Build your coil with the one of the best Titanium Wire in the market, choose your gauge and make your own Build. The kit contains 10 meters Titanium Wire, rolled on a plastic holder. Over 99% pure Titanium. Titanium Wire 10 meters - 0.8mm Build your coil with the one of the best Titanium Wire in the market, choose your gauge and make your own Build. The kit contains 10 meters Titanium Wire, rolled on a plastic holder. Over 99% pure Titanium. 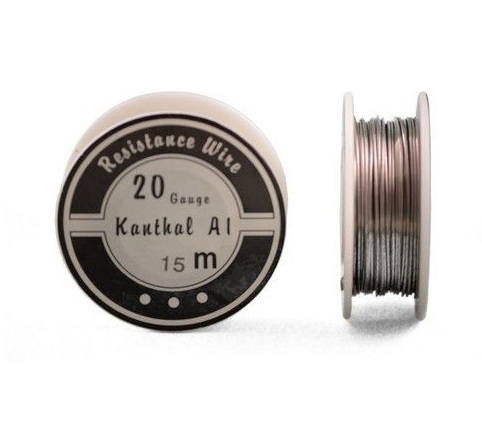 Product description: Kanthal A1 Resistance Wire 20 Gauge typically used for Rebuildable Atomizers (RBA/RDA), electronic cigarettes and building your own coils. This Premium Kanthal A1 Resistance wire is 20 Gauge and comes in 15 Meter Rolls. 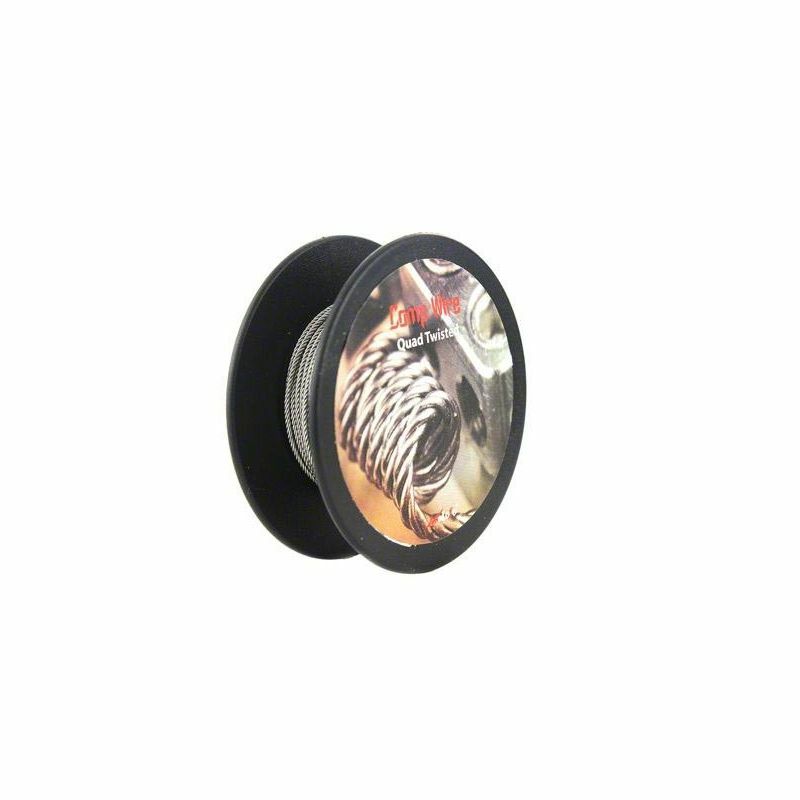 Product description: Kanthal A1 Resistance Wire 18 Gauge typically used for Rebuildable Atomizers (RBA/RDA), electronic cigarettes and building your own coils. 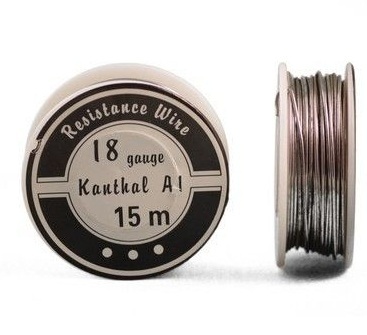 This Premium Kanthal A1 Resistance wire is 18 Gauge and comes in 15 Meter Rolls.